If you're in search of a casual yet seriously chic look, opt for a Victoria Victoria Beckham t shirt and black jeans. Both of these garments are very comfy and will look great paired together. You could perhaps get a little creative when it comes to footwear and dress up your ensemble with beige pumps. If you're in search of a casual yet incredibly chic ensemble, rock a Victoria Victoria Beckham t shirt with charcoal skinny jeans. Both pieces are very comfortable and will look fabulous paired together. Bump up the cool of your getup by finishing off with white chunky leather heeled sandals. If you're searching for a casual yet stylish ensemble, consider wearing a Victoria Victoria Beckham t shirt and navy flare jeans. As well as totally comfortable, these pieces look amazing paired together. 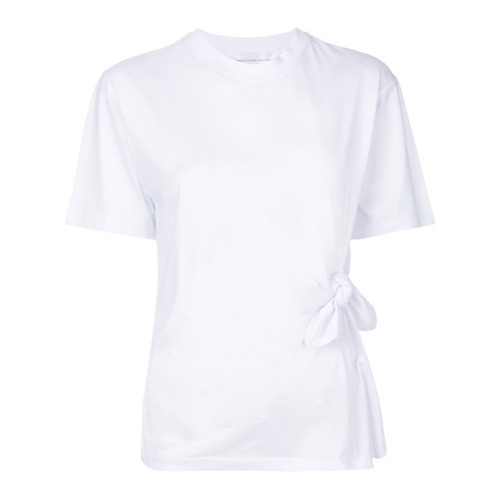 If you're in search of a casual yet absolutely chic outfit, consider teaming a Victoria Victoria Beckham t shirt from farfetch.com with black leather shorts. Both of these pieces are super comfy and look great paired together. If you're hunting for a casual yet absolutely stylish ensemble, team a Victoria Victoria Beckham t shirt with blue skinny jeans. 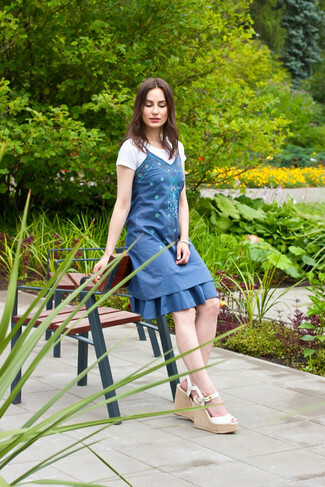 As well as super comfortable, these two garments look stunning when worn together. 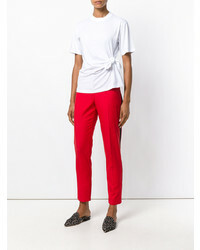 If you're on the lookout for a casual yet stylish getup, rock a Victoria Victoria Beckham t shirt with black skinny pants. 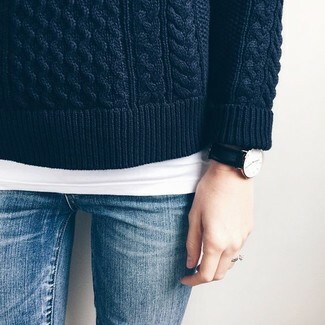 As well as very comfy, these garments look great when paired together. You could perhaps get a little creative in the shoe department and elevate your getup with beige leather heeled sandals. If you're a fan of comfort dressing when it comes to your personal style, you'll love this seriously chic pairing of a Victoria Victoria Beckham t shirt and a blue embroidered casual dress. Play down the casualness of your outfit with white leather wedge sandals. Marry a Victoria Victoria Beckham t shirt with light blue ripped boyfriend jeans if you're after an outfit idea for when you want to look casually cool. Bump up the cool of your outfit by wearing white heeled sandals. If you're after a casual yet incredibly stylish getup, try teaming a Victoria Victoria Beckham t shirt with blue skinny jeans. These two pieces are totally comfortable and they will also look incredible paired together. When it comes to footwear, this getup is round off nicely with white canvas low top sneakers.